Meet Brissy artist turned global superstar, Wafia! Over the past couple of years the talented musician has been making leaps and bounds through the scene. We caught up with Wafia ahead of her hometown performance at Big Pineapple Music Festival to talk about the festival, new music and if Pineapple belongs on pizza. Futuremag Music: Hey Wafia, how’re you going? Wafia: I’m great, how’re you? Futuremag Music: Awesome to hear, I’m good thanks. Could you talk us through your music career so far? Wafia: Honestly, all of it. It’s insane to me that I’m doing this every day. I went from playing at cafes and weddings in Brisbane to self fund my project to now touring the world. I pinch myself everyday. Futuremag Music: ‘I’m Good’ is a tune and a half! What went into the writing process for that one? Wafia: Some songs write themselves and ‘I’m Good’ is definitely a case of that. It came together so quickly as soon as that initial baseline was down. I wrote the lyrics/melody with my friend Wrabel on the spot and by the time we had written it, John Hill and Rogét Chahayed had already produced the song out. Futuremag Music: Will we hear some new music sometime soon? What’s the plan for the Wafia project? Wafia: Yes, of course. I always, always have new music lined up. I have a lot of exciting things lined up this year so I’m just in the process of wrapping it all up before I can share! Futuremag Music: That’s so exciting, we can’t wait to hear what you have planned! 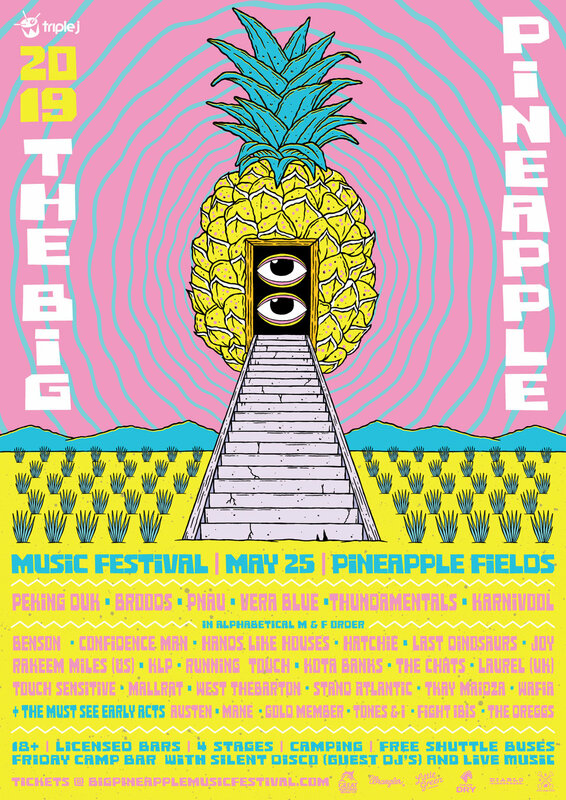 You always throw a sensational show, could you outline your set at Big Pineapple? What’s your favourite thing about the Sunshine State? Wafia: My favourite thing about the Sunshine State is that my family is here! If you squint real hard at any of my Queensland shows, you’ll probably see my little sisters and parents backstage. Big Pineapple will be no different haha. I LOVE hometown shows. Futuremag Music: Talking about pineapples, does it belong on Pizza? Wafia: I don’t feel passionately either way to be honest. I could eat a slice with pineapple on it but I wouldn’t be reaching for another. Futuremag Music: To wrap it up, if Wafia was a cocktail, what would be in it to best describe yourself and your music? Wafia: Hahaha, I don’t drink alcohol so consider me a nice tall glass of refreshing sparking water with a spritz of lemon/lime and maybe even a few berries if we’re feeling fancy that day.